Here's the final post in our series of Otter Antics for the year. 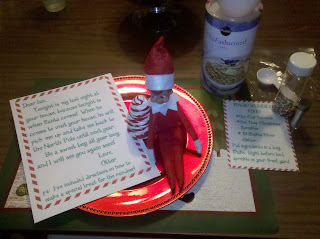 Your elf was a busy little guy as we prepared for Christmas and Santa's arrival. One day we found him in your car seat. You had spent the night with Grandma and Papa Davis, and apparently Otter missed you. 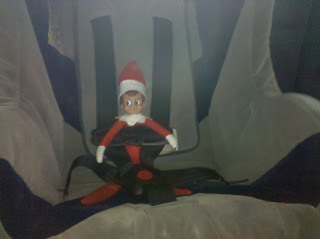 He had to come with us to pick you up! Here's a picture of him trying out your guitar. Thank goodness we got a musical elf to be part of our musical family. 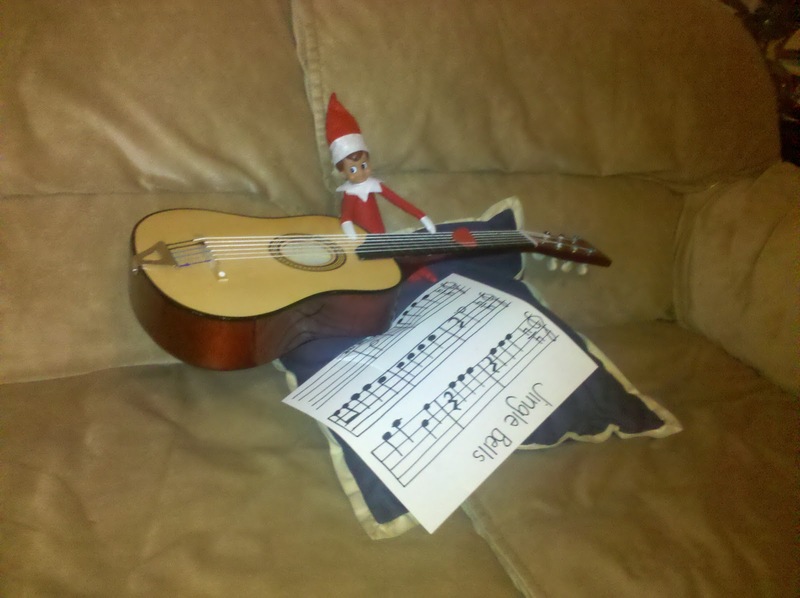 And he even wrote out some sheet music to Jingle Bells! Mr. Craig from Daddy's work and his wife, Ms. Jerilyn, bought you this giant Lovey as a Christmas gift. Otter thought he would be great to sit on! On his last day with us, Otter left you a sweet letter and directions on how to make a special treat for Santa's reindeer when they arrived Christmas eve. You and I (and maybe even Daddy) were a little sad on Otter's last day at our house. You were always so excited to see where Otter was every morning and what he was doing. That sweet, energetic little search just made my morning. 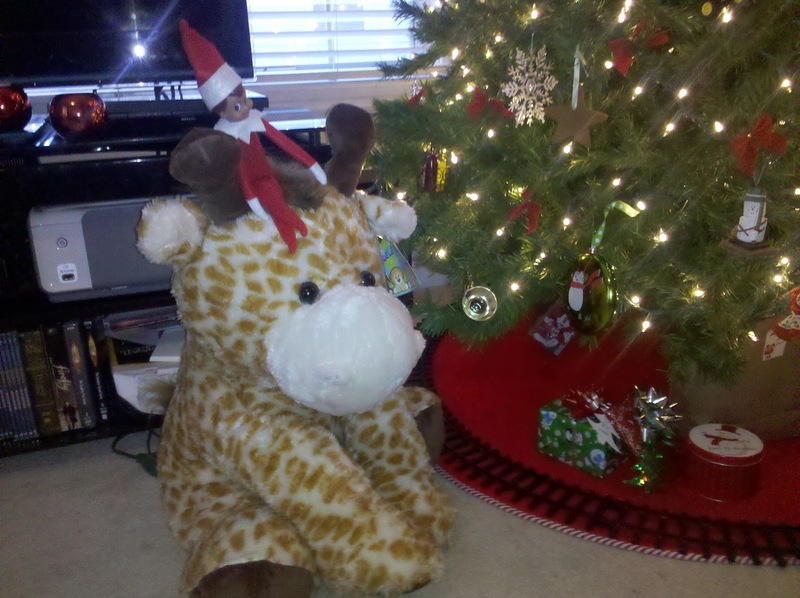 I am very glad that Santa sent us a scout elf to our house, and I know we are looking forward to him coming back again next year.